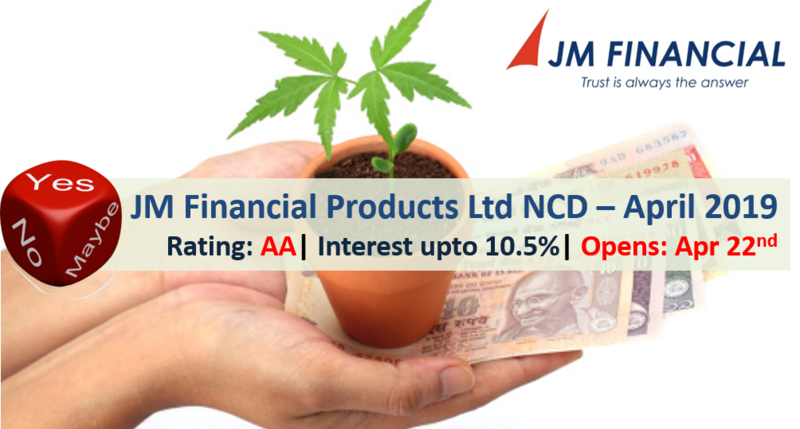 10.5% JM Financial Products Ltd NCD – Apr'19 – Should you Invest? JM Financial Products Ltd is a “Systemically Important Non – Deposit Taking NBFC” registered with the Reserve Bank of India and operates as the flagship company under the “JM Financial” brand. It is focused on offering a broad suite of secured and unsecured loan products which are customized to suit the needs of the corporates, SMEs and individuals. Call may be applicable in Series III and IV anytime after 24 months from Deemed Date of Allotment and in Series V and VI anytime after 36 months from Deemed Date of Allotment. This means that JM Financial has the option to buyback after 24/36 months. There are some concerns regarding corporate governance.